The goal of the Downtown Project is to make downtown Las Vegas a place of inspiration, entrepreneurial energy, creativity, upward mobility and discovery. 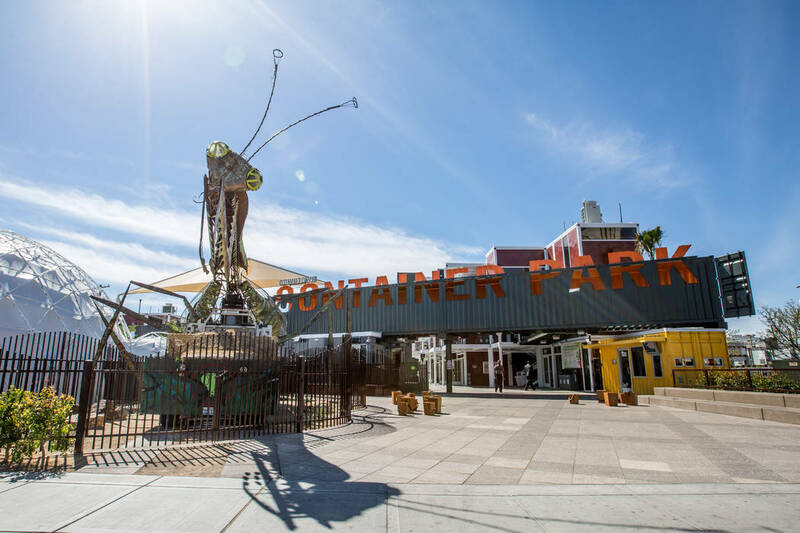 Originally an initiative of Zappos CEO Tony Hsieh, the project helps revitalize portions of downtown Las Vegas through investment in small businesses, tech startups, real estate and development, and the arts, culture and education. The Downtown Project, which has 609 employees, has allocated $30 million to aid in the revitalization of downtown Las Vegas. It has invested $200 million in real estate, $50 million in small businesses, $50 million in education and $50 million in tech startups. Completed projects generated 451 job‐years of employment, $24.1 million in salaries, and $68.6 million in output. Additional planned projects may generate as many as 884 job‐years of employment, $46.6 million in salaries and $138.9 million in output. Downtown Project’s ongoing real estate investments in downtown Las Vegas include the renovation and construction of businesses, homes, and the community area, according to spokeswoman Megan Fazio. This includes the Gold Spike, and its companion property, the three-story boutique motel Oasis at the Gold Spike. What makes the Downtown Project innovative is its focus on bringing together communities of passion and add density of ground-level activities, spaces and businesses, Fazio said. The $200 million spent on real estate and development includes approximately 45 acres of land in and around the Fremont East and East Village districts and 11 businesses that it wholly owns and operates. The Downtown Project has invested in about 50 small businesses ranging from restaurants, bars and a microbrewery to retail, including a bookstore, a record store/recording studio and a toy store. Downtown Project has also invested in services, from a membership-based dog park and doggie day care to an app-based laundry and dry cleaning business. Downtown Project’s tech investment arm, VegasTechFund, invested in more than 100 tech businesses, with about half of those businesses in downtown, and half in other markets. In addition, about 40 percent of the investments were made in businesses helmed by women. “Downtown Project’s economic impacts come from a wide variety of sources, including construction projects, small business investments, tech investments, visitors to festivals, and the management of all these activities,” Fazio said.